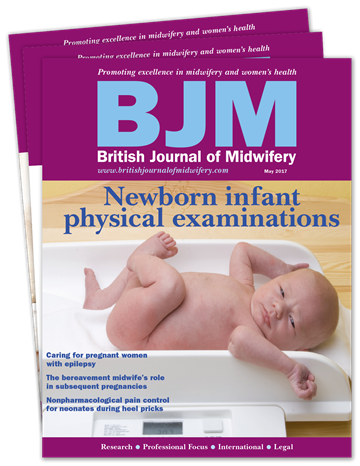 Since 1993, British Journal of Midwifery has been dedicated to providing a platform for evidence-based practice and continuing professional development in maternity care. 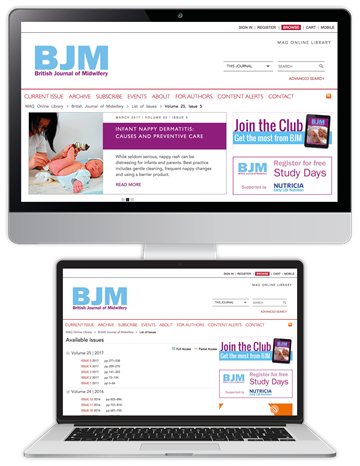 With over 25 years' experience, BJM provides the professional information that is key to unlocking your full potential. 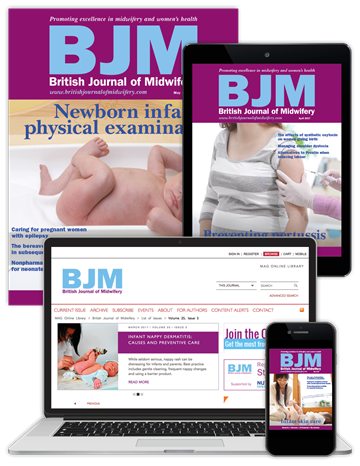 As of April 2019, BJM will no longer be available to NHS staff via Healthcare Databases Advanced Search (HDAS). 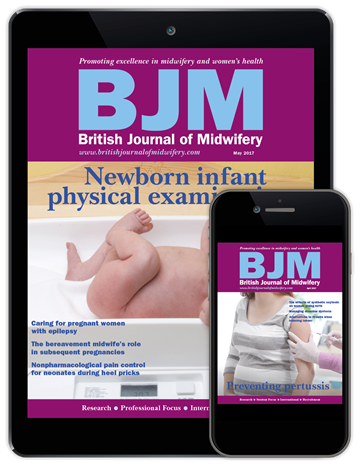 Order your subscription today to ensure you continue to receive access - while saving 20%. 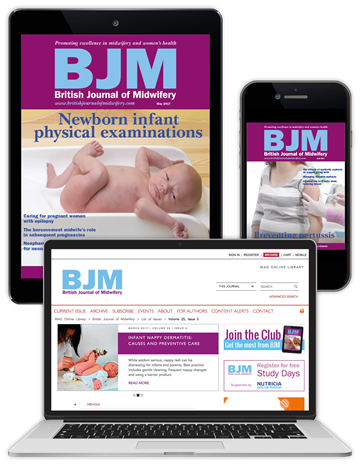 Subscribe today to save 20% on your subscription. Order now with code BJM19D to claim your special offer. Select your subscription option below. Discount will be calculated at checkout. *Discount only available with quarterly or annual subscriptions. Offer ends 17th May 2019.